Goodwin is a leading Global 50 law firm, with 1000+ lawyers in offices across the United States, in Asia and in Europe. Our emerging companies practice offers a team that can help your business at every step of the way with legal services aimed at maximizing your position in the marketplace, for example through company formation and strategy, venture capital financing, intellectual property (patent prosecution and protection and technology licensing), corporate partnering, capital markets transactions, mergers and acquisitions and corporate governance. One of the largest combined practices in the United States, the group represents more than 1,500 technology and life science companies, 200 venture capital and private equity firms and many of the leading investment banks worldwide. 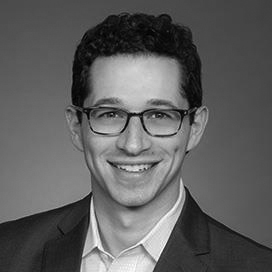 With expertise in industry sectors including software, hardware, online content and commerce, IT services, fintech, clean tech, biopharma, medical devices and healthcare IT, among others, the group combines significant M&A, capital markets and public company capabilities with a commitment to serving emerging companies and venture capital clients. We blend technical know-how and specific industry experience to get deals done quickly and efficiently. We draw on a firm-wide network of specialists in tax, intellectual property, real estate and executive compensation to help clients find practical, innovative solutions to their problems. We structure, negotiate and close deals for businesses of all sizes and in all stages of maturity. Our award-winning Founders Workbench is a free, online resource that helps entrepreneurs navigate many of the legal and organizational challenges faced by startups. To me, being a modern lawyer is to be business-minded and practical, with a keen understanding of the demands of today’s entrepreneurs and the pace of the technology sector. A modern lawyer is really a lawyer/business partner who is up to speed on the market, knows the key players and is well versed in standard venture deal terms, as well as more complicated transactions like growth equity financings, IPOs and M&A. A modern tech lawyer is also knowledgeable about technologies that can aid in the legal practice and uses them effectively. It wasn’t too long ago that lawyers faxed documents and rushed to beat shipment deadlines. Now, everything is done electronically and on-demand, and modern lawyers have to leverage technology to keep up and be efficient. 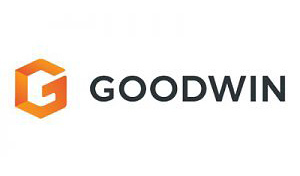 Goodwin uses a variety of new technologies across its practices, such as Founders Workbench, Shoobx, litigation discovery and contract review products, knowledge management and other solutions that enhance the practice of law and the business of law. We try to think like our clients (and use their products!). The best legal technologies streamline and automate processes and create efficiencies. Founders face problems that require market sophistication and counselors who can listen to their concerns and help them come to business-minded conclusions. We’re proud to say that Shoobx is a Goodwin client and a perfect example of innovation that’s a win-win for both the lawyer and client. Shoobx is a terrific case study in how technology is driving advances in the legal community. What other businesses have you worked with in my company’s industry? What is your fee structure, and how do you work with startups that have not yet raised capital? Do you have the resources and bench of experts that my company will need so that your firm can scale with my business as it matures? How has your firm been innovative in its practice and working with clients? Tell me about your firm’s platform, connectivity and the extent of its global reach. As soon as you have technology or IP relating to an idea that you want to develop and commercialize. It is particularly important if you have multiple individuals in the mix. Our team can help you with business formation and planning so you can get the technology into a company and limit your personal exposure with the protection of a legal entity. It’s also important to get your founder stock issued as early as possible while its value is low. With new and changing tax regulations, sophisticated counsel can help you set your new company up for success, especially when it comes to executive compensation and team alignment and retention. If financing is on the horizon, a good lawyer can also help you think about fundraising strategy. All of these topics are much easier to deal with sooner rather than later. Your lawyer should be a true partner to your business. You should expect the highest quality legal service and a firm that invests time to learn about your business and provide value – this is Goodwin’s service excellence mission. Knowing how to manage yesterday’s problems is easier than dealing with today’s business challenges. Goodwin lawyers think and work proactively and we embrace clients that do the same.